Like many individuals, my day starts with an eagerly awaited trip to the kitchen after a quick hop in the shower. By this time, the alarm clock haze has finally worn off long enough to realize the neurotic taste buds in my mouth are going crazy. They need their morning bowl of cinnamon oatmeal with mixed berries or else! In the past, I'd always follow breakfast with a handful of vitamins and some fish oil supplements before heading out the door. I was off to fill prescriptions and make the world a healthier place! As a pharmacist, I dispense pills and educate others on all the benefits they have to offer, including a few over-the-counter supplements. Fish oil is one of these supplements. In school I learned that pills equal health. Pharmacists dispense pills. Therefore, pharmacists dispense health. Since I am the expert on pills, I deem it my responsibility to keep up with the scientific literature behind all of these pills as best I can. After all, medicine is a constantly changing environment and if you snooze you lose (and so do your patients). Today I present you with the evidence behind fish oil supplements, known widely for benefiting cardiovascular health and many other chronic diseases, or so they say. To do this I scoured numerous scientific studies in highly respected medical journals like the New England Journal of Medicine and The Journal of the American Medical Association (JAMA). I also turned to The Cochrane Reviews. The Cochrane Reviews—if you're unfamiliar with them—provide the most comprehensive, credible, and impartial analysis on the available scientific evidence in health and medicine. They do this by upholding very strict commercial sponsorship policies, which prohibit contributions from pharmaceutical and medical device companies. Here's what I found. Cochrane Review (September 2012) - "Direct evidence on the effect of omega-3 PUFA on incident dementia is lacking. The available trials showed no benefit of omega-3 PUFA supplementation on cognitive function in cognitively healthy older people. Omega-3 PUFA supplementation is generally well tolerated with the most commonly reported side-effect being mild gastrointestinal problems. Cochrane Review (October 2012) - "Overall, there is little evidence that PUFA supplementation provides any benefit for the symptoms of ADHD in children and adolescents. The majority of data showed no benefit of PUFA supplementation, although there were some limited data that did show an improvement with combined omega-3 and omega-6 supplementation. Cochrane Review (January 2009) - "It is not clear that dietary or supplemental omega 3 fats alter total mortality, combined cardiovascular events or cancers in people with, or at high risk of, cardiovascular disease or in the general population. There is no evidence we should advise people to stop taking rich sources of omega 3 fats, but further high quality trials are needed to confirm suggestions of a protective effect of omega 3 fats on cardiovascular health. I graduated pharmacy school and practiced pharmacy for many years believing that omega-3 (fish oil) supplements benefited the patients I served. As I mentioned before, I also took fish oil capsules myself, faithfully for many years, due to this long-held belief. I recommended fish oil to all my patients looking for an anti-inflammatory supplement, especially those suffering from heart disease. Unfortunately, I was led astray, taking for granted what I had been taught early in my career regarding the so-called health benefits of fish oil pills. An in depth look at the evidence makes one thing clear. 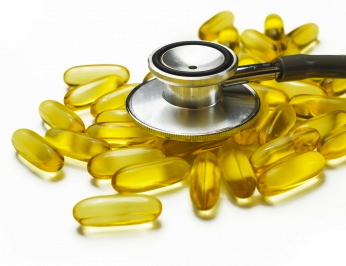 Fish oil pills and other omega-3 fatty acid supplements DO NOT work. Data from the highest authority (The Cochrane Collaboration) and major medical journals have all come to this same conclusion. Omega-3 supplements don't work because cardiovascular disease, type 2 diabetes, inflammatory bowel disease, and many other chronic illnesses are largely, if not completely, due to our rich, Western diets. They exist because of multiple daily servings of meat, dairy, eggs, and junk foods. Not only do omega-3 supplements not work, but recent data from an article published in the Journal of the National Cancer Institute last week shows that supplementing with omega-3 fish oil pills actually increases the risk of prostate cancer in men . The only reason anyone has ever suggested supplementing with omega-3's is because omega-3 fatty acids are considered essential fatty acids. That is, omega-3 fats are not naturally made by our bodies. We must obtain them from dietary sources. Hence, the recommendations to eat fish and/or supplement with fish oil pills or other sources of omega-3 fatty acids. However, when it comes to our health (especially long term) eating fish and swallowing fish oil pills is not in our best interest. To learn more about the topics of fats in the human diet please read my article - The Essentials On Fats In The Diet. So where does all this leave us? It leaves us with the question of how to effectively manage the litany of chronic diseases people are suffering from. To adequately and responsibly address this we MUST start with the food, NOT with our medicine cabinets. No human being on Earth has ever been able to medicate or supplement their way out of a chronic disease. While medications and supplements may provide temporary relief to some individuals, they are no substitute for a healthy diet centered on whole, plant-based foods. It starts with the food! You can't fix your health if you don't fix your diet. To learn more about how to do this visit my page on nutrition or utilize the many other resources I've made available at www.PlantBasedPharmacist.com. You have nothing to lose by doing so. 12 Kromhout D, Giltay EJ, Geleijnse JM; Alpha Omega Trial Group. n-3 fatty acids and cardiovascular events after myocardial infarction. N Engl J Med. 2010 Nov 18;363(21):2015-26. doi: 10.1056/NEJMoa1003603. 13 Kwak SM, Myung SK, Lee YJ, Seo HG; Korean Meta-analysis Study Group. Efficacy of omega-3 fatty acid supplements (eicosapentaenoic acid and docosahexaenoic acid) in the secondary prevention of cardiovascular disease: a meta-analysis of randomized, double-blind, placebo-controlled trials. Arch Intern Med. 2012 May 14;172(9):686-94. doi: 10.1001/archinternmed.2012.262. Review. 14 Rizos EC, Ntzani EE, Bika E, Kostapanos MS, Elisaf MS. Association between omega-3 fatty acid supplementation and risk of major cardiovascular disease events: a systematic review and meta-analysis. JAMA. 2012 Sep 12;308(10):1024-33. doi: 10.1001/2012.jama.11374. Review. 15 Risk and Prevention Study Collaborative Group, Roncaglioni MC, Tombesi M, Avanzini F, Barlera S, Caimi V, Longoni P, Marzona I, Milani V, Silletta MG, Tognoni G, Marchioli R. n-3 fatty acids in patients with multiple cardiovascular risk factors. N Engl J Med. 2013 May 9;368(19):1800-8. doi: 10.1056/NEJMoa1205409. 16 Brasky TM, Darke AK, et al. Plasma Phospholipid Fatty Acids and Prostate Cancer Risk in the SELECT Trial. J Natl Cancer Inst. 2013 Jul 10. [Epub ahead of print]. Why can't news like this be presented in the mainstream media, Dr. Oz in particular? He recently had an "expert" touting the benefits of fish oil. They both smilingly dismissed the claim that fish oil supplements are a waste of money. They need more studies regarding prostate and fish oil - double blind placebo etc. Not enough info. I don't take fish oil but eat walnuts, pumpkin seeds and flax etc and let my body convert what it can of ala into dha/epa. I'm confused now. Isn't it necessary for a vegan/veganist to supplement DHA/EPA due to the body's inability to convert enough ALA? I'm using a plant-based supplement Ovega-3. Is that no good either? You'll find some great information on this topic in my article The Essentials of Fats in the Diet. Watch the videos included within that article. The link is listed above at the end of this article.